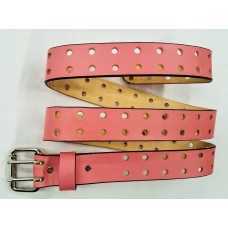 Choose from our fashion belts or durable leather belts! This full-grain drum-dyed leather belt is made with heavy 8/9 ounce weight 1 3/4" wide leather f.. This American-made 100% Full Grain Leather Belt features a 1 1/2" wide leather double-holed strap an..